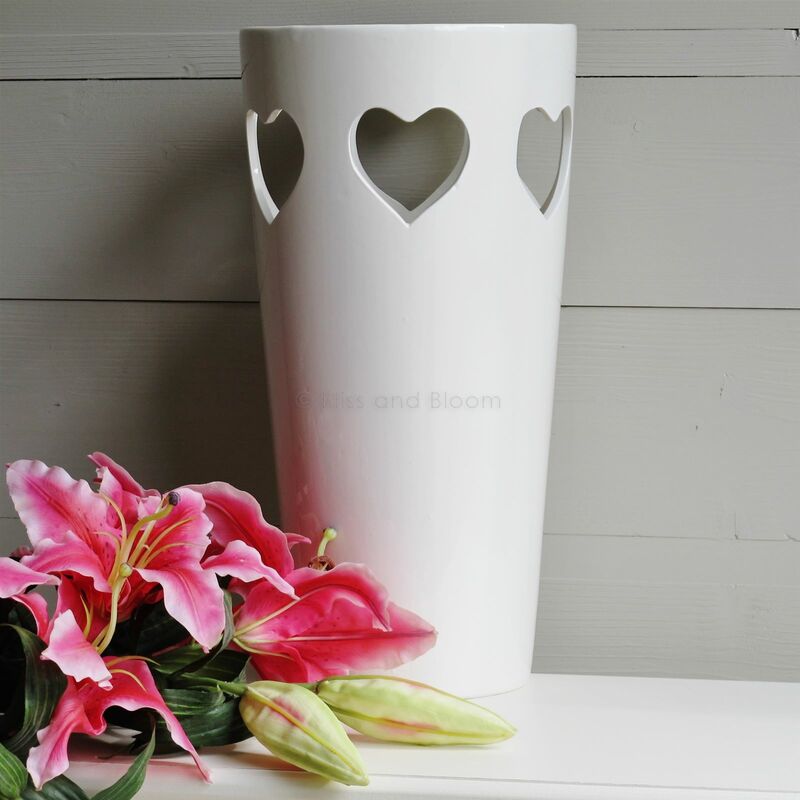 Large cream heart vase. 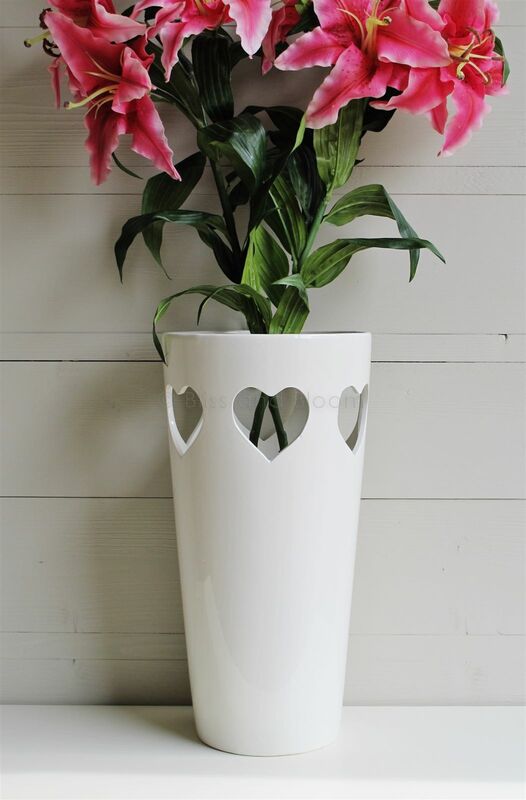 Ceramic tapered vase, with cut out heart design. 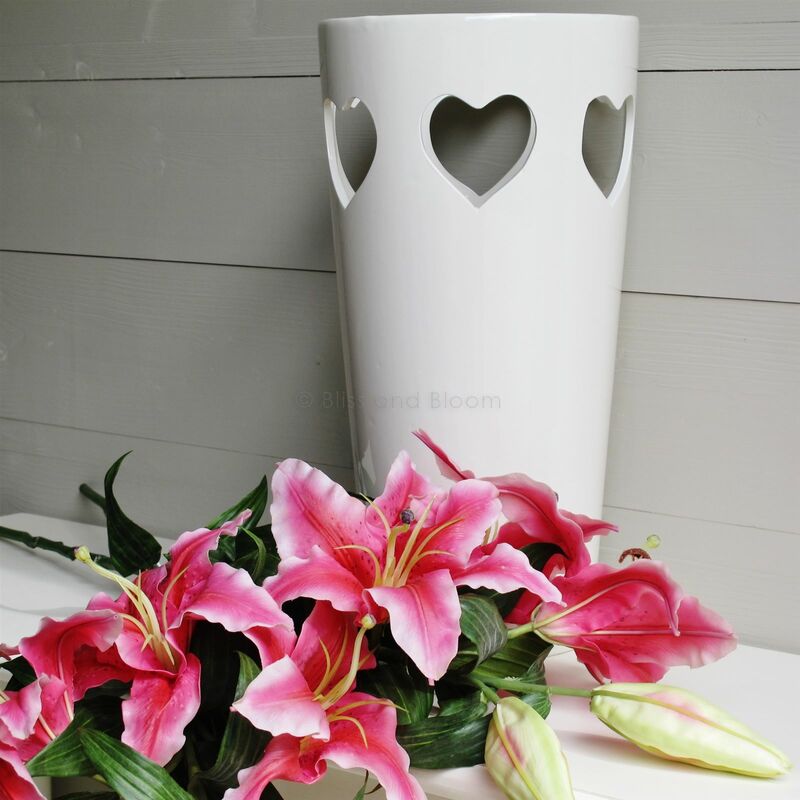 Even without flowers this vase looks pretty. H 40 cm Diameter 20 cm approximately. Flowers not included.